The latest addition to the G series of Motorola smartphones is the Moto G6. It is right now one of the best choices in the market if you are looking for smartphones with a price range from medium to high, with an elegant and stylish look. The Moto G6 is economic considering the multitude of features it comes with and it becomes important for you to invest in accessories and give it more protection so that its longevity and usefulness increases. They not only can make it look more stylish but can also overcome certain weak points. 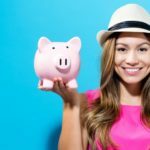 There are so many accessories available in the market that you may need to spend a lot of time to find the best one. We have created this best accessories list for Motorola G6 so that you can easily accessorize your smartphone in your own way. Poetic Karbon Shield Shock Absorbing case has a thin and extremely lightweight design. 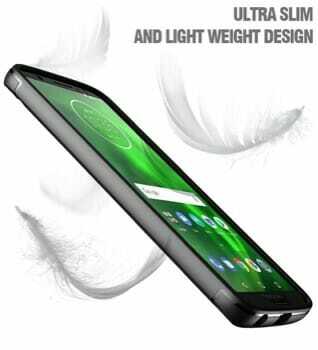 It is one of the slimmest rugged cases for Moto G6. 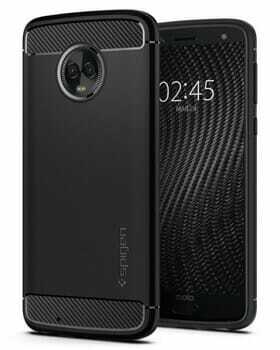 The case has a carbon-fiber look that adds to the elegance of the body of the G6 while making it less bulky. The textured back provides a more enhanced grip so that you can handle the phone easily. The whole Karbon case is shock absorbing that does not allow heavy direct impact on the device. If you have an HD display you will want to see movies and videos all day long. 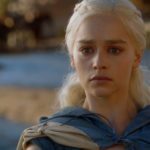 The internal storage of Motorola G6 is insufficient to store movies and music without care. However, with the allowance of an extra 256GB expandable memory, you can easily store all your favorite stuff. 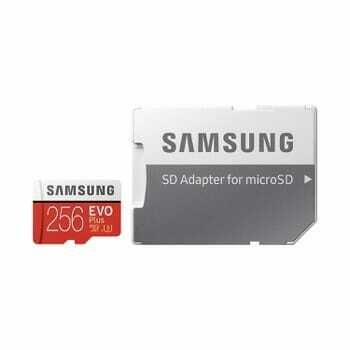 You can easily use the Samsung EVO+ 256GB MicroSD card to store stuff and use them on the go. With the Class 10 card, you will not feel any lag while reading the data from the MicroSD Card. The expandable memory is a pretty useful feature of the G6 that ultimately increases the utility of the phone in everyday life. Belkin is one of the most well-known brands that manufactures mobile and laptop accessories. 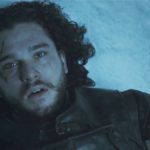 Although the Moto G6 boasts of a long battery life, smartphones really do not and more importantly cannot have a long battery life in any way possible. The USB-C car charger is essential for you if you are on a road trip or have to drive a lot every day for some purpose or the other. Obviously, it is not possible to plug in a mobile charger anywhere. Also, to keep the phone and power bank charged for the entire time on the move, you will need some support. 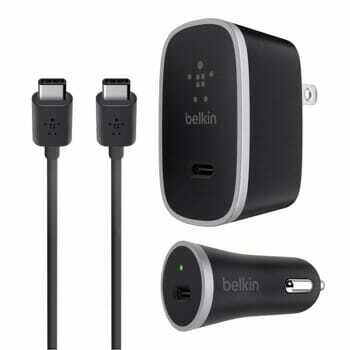 This makes the Belkin car charger essential and also a good choice. It gives an almost exact output as the Motorola TurboPower wall charger and an additional USB-A port for charging any other device. Motorola G6 has a decent audio output but using wired headphones all the time can be problematic. If you are someone who spends good time listening to music or watching movies, you should think about getting a Bluetooth Headphones. Bluetooth headphones can save you from all the tangled wired mess and make it easy to use on the go. Mpow Flame Waterproof Bluetooth Headphones can do the job for you. They are small so you can carry them easily with your phone and connect it over Bluetooth 4.1 to save your phone’s battery. These headsets deliver one of the best bass reach superior audio which you will appreciate if you are a bass lover. 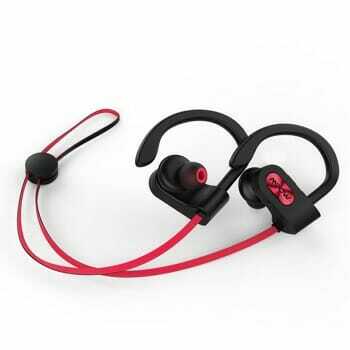 They are comfortable to wear and you can get up to 7-8 hours of audio time with a single charge. This case is literally an armor as Spigen’s air cushion technology at the edges of the case protects the body from direct impact in addition to the strong and durable back cover. It has a matte finish and has the carbon fiber look that makes your smartphone look elegant and protects it from breaking apart on falling. It also has perfect button cutouts and provides extra protection to camera bump. You will have fewer scratches on your back camera glass with the highlighted edges. Although the G6 does come with a transparent, thin case if you want to take extra care of your phone the Spigen Case will surely prove to be a good choice. LK’s is well-known for its tempered glass as it is both durable and gives a wholesome protection to the screen. If you want the screen of your phone to be well-protected from all sorts of scratches and prevent it from cracking on minor impacts, it is absolutely essential to get a tempered glass. 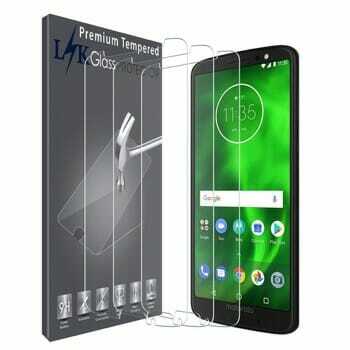 Not only is LK’s Tempered Glass one of the best accessories for Motorola G6 but it is also one of the best and trusted tempered glasses in the market right now. 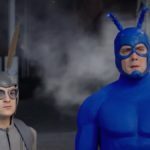 The screen protector requires a minor investment but offers a long-time service preventing the need to go to the service center for completely minor issues. The installation process is important as the screen needs to be cleaned with care and caution before sticking the tempered glass on it. A battery pack is one of the most common accessories that is required by a smartphone user. It has become a must-have in the crushed schedule of our lives where we don’t even get a moment in the day to charge our phones. 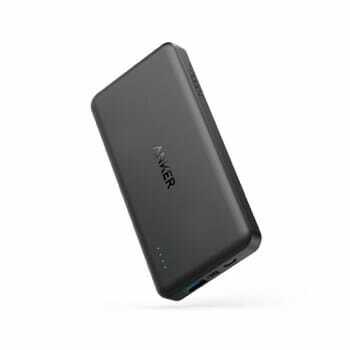 The Anker Powercore II Slim is slim and elegant and very easy to carry. The charge capacity of this battery pack is 10,000 mAh that makes it possible for you to charge your dives multiple times. 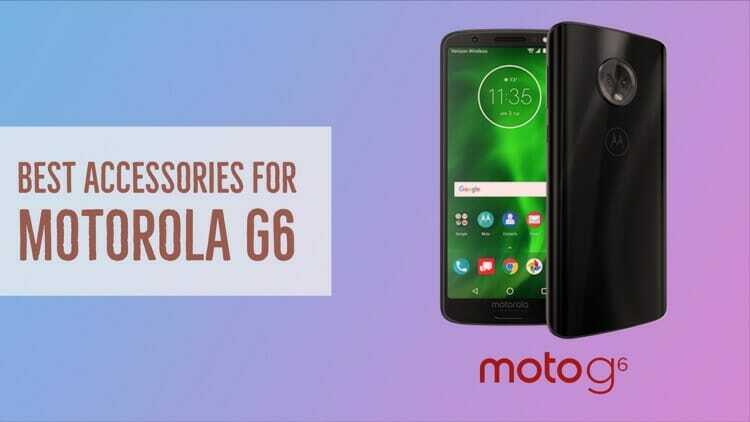 The charging process is quick owing to a maximum of 18W output but this does not compromise the safety of the smartphone – in this case, Motorola G6. This battery pack is amongst the best accessories for Motorola G6 because of its utility and efficient functioning. If you have pets or know anyone who has one it is common to find a chewed and destroyed USB cable every other day. 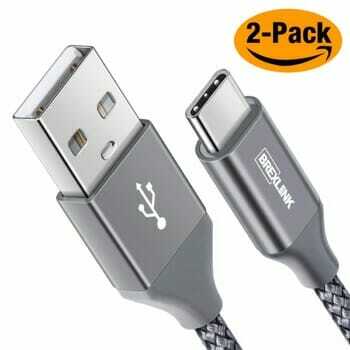 Brexlink’s USB-C cable has a braided look and has the strength to withstand these incidents. It is a good purchase in case you have kids or pets who chew on these cables. It is perfectly safe of course and works smoothly with the Motorola G6 as well as other devices. 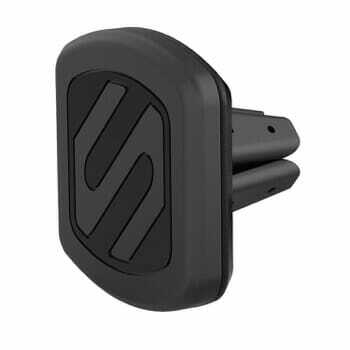 One of the most important problem that this mount solves is that it keeps the smartphone away from your sight when driving with the help of GPS. The phone is firmly held in place with the help of magnets and the mount is simply clipped on to the air vent. The air vent mount is not only a good choice if you are looking for the best accessories for Moto G6 that you can fit in your car. It is also important as the conventional mounts block a part of the front screen and can be really distracting at times as well. 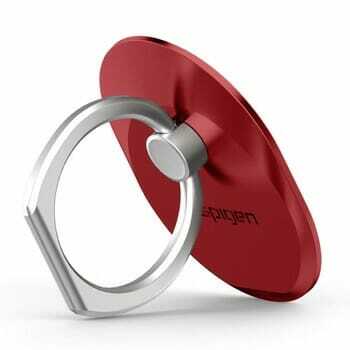 This ring by Spigen has 2 main functions – it helps you to hold on to your phone and at the same time, it also acts as a stand. The Moto G6 is quite compact and can easily fit into the palms of almost anyone’s hand but the glossy finish makes the body slippery unless you have a back cover with textured grip. 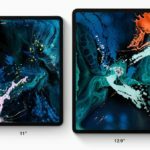 This is where the Spigen Style Ring proves its worth and helps you out. In any workplace or office, it is really helpful to have an extra charger and the Anker PowerPort 2 is a good choice for the purpose. It cuts off the need to carry the single wall charger that comes with the Moto G6 package. 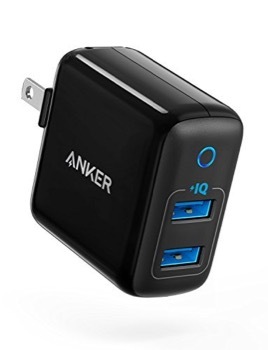 Apart from the USB-C port required for the charging of Moto G6 this wall charger by Anker has a USB-A port and PowerPort 2 that comes with the Power IQ technology. The Power IQ technology is essential in case the phone needs to be charged up fast before leaving for the destination or starting any work. There are a number of other accessories that can be used with the new Motorola G6 but those given above are amongst the most important and commonly purchased ones. Hope this guide helps you to accessorize your Motorola G6 smartphone.